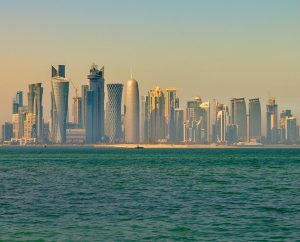 Doha is the capital city of Qatar and the best tourist destination in the country. You find interesting religious and cultural attractions, natural splendours and many more amazing sights to explore here. Doha’s desert is definitely an attraction one must explore. There are many professional guides who can arrange a comprehensive tour in the desert. Generally, a desert tour includes camel rides or dune bashing, overnight camping with meals under the stars. You can also look forward to belly dance acts and smoke shisha during the latter part of the day. Souq Waqif one of the most popular Arabic markets in the region. Those who are planning to visit this country can stay at one of the Souq Waqif hotels the likes of Souq Waqif Boutique Hotel located close to the market and other attractions. Doha Film City is a modern day recreation of an ancient Arabic village found in a desert canyon in the Zekreet peninsula of Doha. One of the fascinating things about Film City is the fact that it is completely deserted. To witness some amazing modern architecture there’s no better place than the Katara Cultural Village. This is a unique concept where various cultural activities from countries around the world are brought together into one platform. Focused on making Qatar an international cultural hub the Katara Cultural Village displays a combination of theatre, literature, art and music from the Middle Eastern region. Next Post Why Qatar is a famous tourist destination – Middle Eastern Beauty!